Letters to the Editor: Audition for Hitchcock? 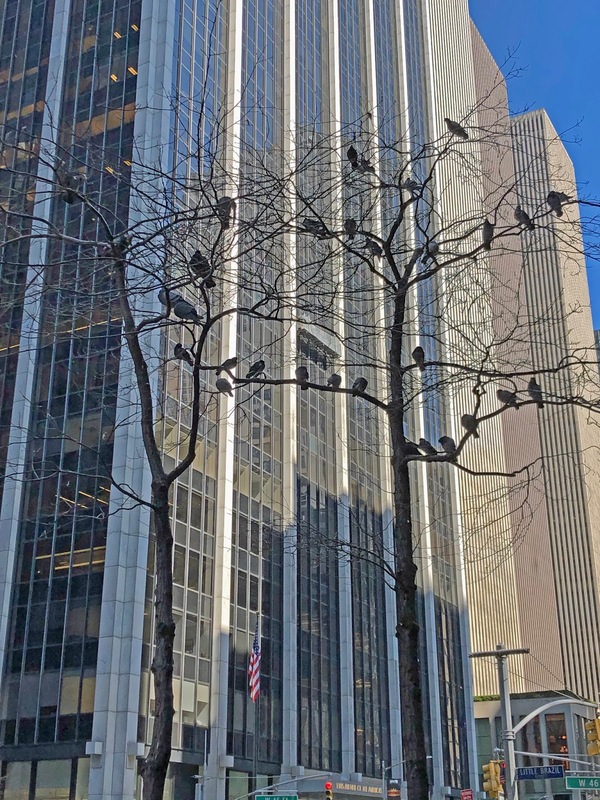 What are those birds doing all together on a tree on 6th Avenue, New York City? 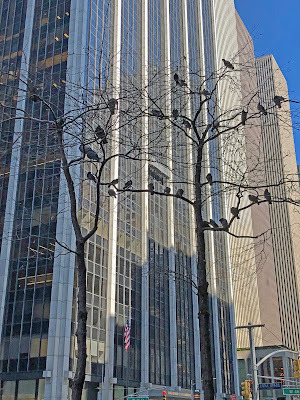 Auditioning for a sequel of "The Birds", the Hitchcock famous movie?